In an important and closely-monitored judgment, the Court of Luxembourg has decided, in the case C-34/10 “Oliver Brüstle v Greenpeace e.V.”, that an invention is excluded from being patented where the process requires either the prior destruction of human embryos or their use as a base material. This is applicable even if, in the patent application, the description of that process as in the present case does not refer to the use of human embryos. In other words, a process which involves the removal of a stem cell from a human embryo at the blastocyst stage, entailing the destruction of that embryo, cannot be patented. The case originally concerns a patent held by Mr Oliver Brüstle since 1997 in relation to a process using embryonic stem cells in order to treat neurological diseases. The German Federal Court of Justice, (Bundesgerichtshof), hearing the case introduced by Greenpeace against Mr Oliver Brüstle’s patent, referred the question to the Court of Justice concerning the interpretation of the “human embryo” mentioned in Article 6(2)(c) of the EU Directive 98/44/EC on the legal protection of biotechnological inventions. According to this article, an invention is excluded from patentability “where the technical teaching which is the subject matter of the patent application requires the prior destruction of human embryos or their use as base material, whatever the stage at which that takes place and even if the description of the technical teaching claimed does not refer to the use of human embryos. (…) Any human ovum after fertilisation constitutes a ‘human embryo’”. 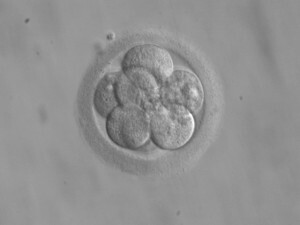 The question in the Brüstle case was whether the exclusion from patentability of the human embryo expressed in the Directive covers all stages of life from fertilisation of the ovum or whether other conditions must be met, for example that a certain stage of development must be reached. In response to this question, the Court has decided that the Directive covers all stages of life. It provides an appropriate definition for the human embryo, as an organism “capable of commencing the process of development of a human being” whether they are the result of fecundation, or the product of cloning. Therefore, for the Court, “a non-fertilised human ovum into which the cell nucleus from a mature human cell has been transplanted and a non-fertilised human ovum whose division and further development have been stimulated by parthenogenesis must also be classified as a ‘human embryo’. The ECLJ welcomes this decision; the proper protection of the human embryo requires that the human embryo is given a broad definition. This decision protects life and the human dignity in its early development. But still, the ECJ ruled that it is for the national court to ascertain, in the light of scientific developments, whether a stem cell obtained from a human embryo at the blastocyst stage constitutes a ‘human embryo’ within the meaning of the Directive. One of its consequences will be to promote the more ethical fields of researches, mainly the research on adult stem cells. Financially, the research on embryos and embryonic stem cells will be less attractive without the ability to get patents in Europe.